As traditionally circumscribed Linaria is a genus with about 150 species in Eurasia and the Mediterranean area (Sutton 1988, Mabberley 2008). The genus is particularly well-represented in Europe with 70 or more species (e.g. Chater & al. 1972). Many species occur outside their native distribution range and residence status for some of the Belgian representatives is uncertain. L. vulgaris Mill. is a common and widespread native species (Lambinon & Verloove 2012). L. arvensis (L.) Desf. probably also is a native. It was thought to be extinct since 1909 (van Rompaey & Delvosalle 1978) but it was recently rediscovered on the gravelly banks of river Maas (Van Braeckel & Van Looy 2005). L. repens (L.) Mill. is also accepted as native although at least part of its populations is more likely introduced (e.g. on coal mining spoil heaps, railway yards, etc.). It is known to persist rather rarely (van Rompaey & Delvosalle 1978) which also may point to a doubtful native status. 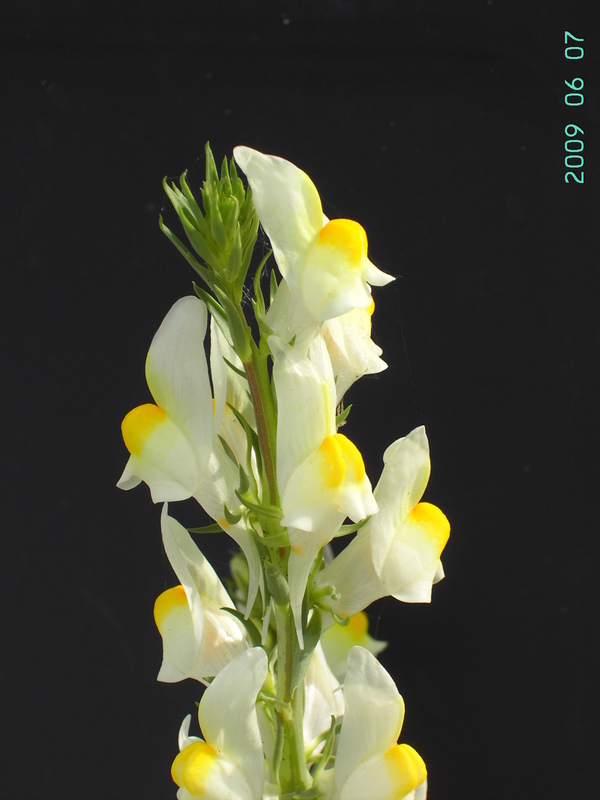 Recent molecular data have shown that Linaria is monophyletic after inclusion of the New World genus Nuttallanthus Sutton (Fernández-Mazuecos & al. 2013). In the same study it was shown that many of the previously recognized sections are not monophyletic. 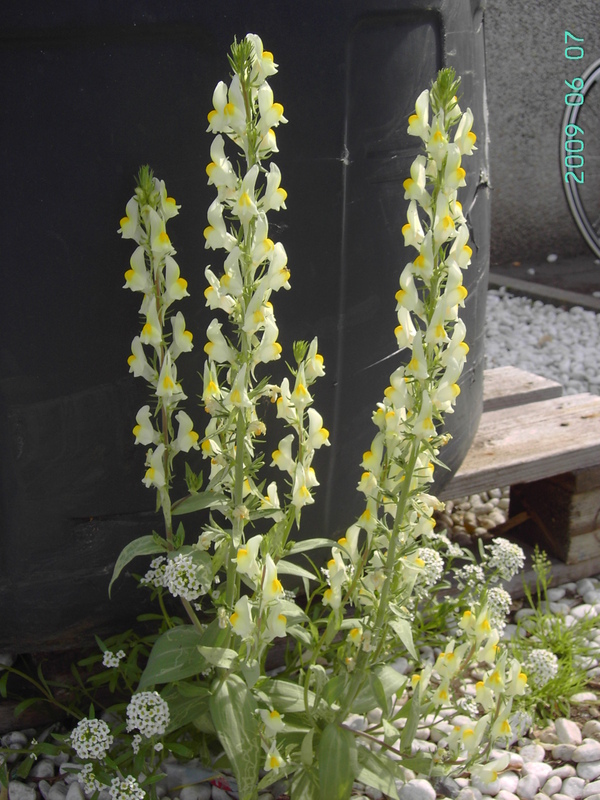 Rather numerous species of Linaria are cultivated as ornamentals. Useful accounts are provided by De Wolf (1956), Gardner & Maxwell (2000) and Jäger & al. (2008). Others are weeds of agricultural fields, especially in cereals. Several of these, garden escapes as well as cereal weeds, have been recorded as aliens in Belgium. For a reliable identification plants with both flowers and ripe seeds are often required. Several groups are particularly difficult in terms of taxonomy and identification. Especially the Linaria vulgaris and L. supina complex may hide as yet in Belgium unrecognized critical taxa. Further study is needed in these groups. Several additional species are to be expected. Perhaps most likely is Linaria dalmatica (L.) Mill. (syn. : L. genistifolia (L.) Mill. subsp. dalmatica (L.) Maire & Petitm.). It is much reminiscent of native L. vulgaris but has wider leaves and slightly longer corollas (up to 55 mm long). Also, its seeds are angular, not discoid. It is known from most neighboring countries (e.g. Jäger & Werner 2005, Stace 2010, Denters 2013) and is often considered an invasive species (e.g. Vujnovic & Wein 1997, Sing & Peterson 2011). Style bifid. Leaves linear, sessile, less than 4 mm wide. Inflorescence lax. Calyx lobes more or less equal === L. bipartita Hybrids p.p. 7 Spur longer than the rest of the corolla. Annual === L. bipartita Hybrids p.p. Additional aliens: Linaria angustissima (Loisel.) Borbás (Eur., vector unknown) and L. genistifolia (L.) Mill. (Euras., grain alien?). Linaria latifolia Desf., an endemic from the western Mediterranean, was recorded as a weed in containers with imported olive trees in 2009 (see below). Chater A.O., Valdés B. & Webb D.A. (1972) Linaria. In: Tutin T.G. & al. (eds. ), Flora Europaea, volume 2. Cambridge University Press, Cambridge: 226-236. De Wolf G.P. (1956) Notes on cultivated Scrophulariaceae. 3. Linaria. Baileya 4: 102-114. Denters T. (2013) Bijzondere plantenvondsten in de regio Amsterdam 2010-2012. Available online at: http://www.frontlinie.nl/floron/vondsten%202010_2012(3).pdf. Fernández-Mazuecos M., Blanco-Pastor J.L. & Vargas P. (2013) A Phylogeny of Toadflaxes (Linaria Mill.) Based on Nuclear Internal Transcribed Spacer Sequences: Systematic and Evolutionary Consequences. International Journal of Plant Sciences 174(2): 234-249. Gardner M.F. & Maxwell H.S. (2000) Linaria. In: Cullen J. & al. (eds. ), The European Garden Flora, vol. 6. Cambridge University Press, Cambridge: 311-313. Sáez L. Sainz M. & Crespo M.B. (2004) Taxonomic notes on Linaria Mill. (Scrophulariaceae) for Flora Iberica. Folia Geobot. 39: 293-318. Sutton D.A. (1988) A revision of the tribe Antirrhineae. Oxford University Press, Oxford. Valdés B. (1970) Revisión de las especies europeas de Linaria con semillas aladas. Publicaciones de la Universidad de Sevilla. Van Rompaey E. & Delvosalle L. (1978) Atlas de la flore belge et luxembourgeoise. Ptéridophytes et Spermatophytes. Commentaires. Jardin Botanique National de Belgique, Meise: 116 p.